It is a day that has become synonymous with tales of heroism, survival and of how a community fought against the disaster and the elements. It is a tale of how Canadians emerged from under terrible conditions to help each other. It is exactly one hundred years after the two ships collided, causing a gigantic and devastating explosion. The story has been told many, many times from a variety of angles. In Lullaby: Inside The Halifax Explosion we meet three diverse characters, moments after the explosion and we follow them as they comes to terms with the situation they find themselves in and who they are stranded with.As the characters share their stories, experiences and history, we the audience experience the tribute to the diverse communities and cultures in Nova Scotia. 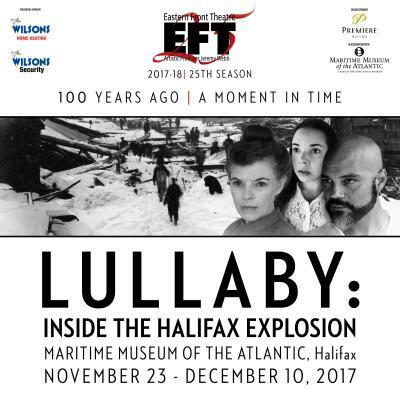 Lullaby: Inside The Halifax Explosion is a theatrical event; a dramatic, educational and emotive experience that explores little-told stories of the events of Dec 6, 2017. It’s a story of survival and growth, of destruction and hope. But, this story is not born of fiction: it happened. It’s historical fact. This is an important celebration of the diversity and cultural fabric of the country. For the last Flagship Event of the 2016-17 season, the Maritime Museum partners with Inner Space Concerts for a family show of live music, dance and interactive performance! Just in time for Ocean’s Month, “Deep Sea Conundrum” goes deep down in the darkest reaches of the ocean, an Anglerfish has lost something important and needs our help! Join our imaginative exploration team as we descend through the depths of the ocean to find her. Through narration, dance, and music, we will encounter some of the most mysterious and fascinating creatures, habitats, and phenomena of the sea. An Inner Space Concerts creation, the show features actress Emma Cruddas, dancer Susanne Chui, flutist Jack Chen, and harpist Ellen Gibling in an interactive performance for kids and adults alike. Music by Ravi Shankar, Claude Debussy, Astor Piazzolla and more! Recommended for ages 4+. Tickets are available by calling 902-402-1125 or online InnerSpaceConcerts.ca. This Maritime Museum Flagship Event in partnership with Devour! is a special fundraising event for the Dartmouth North Community Food Centre. Join us for a historical “magical mystery tour” where our museums spaces and exhibits bring alive our Maritime heritage, regional food and films of “the ocean”. For one night only! Experience the world’s largest film festival on the waterfront, support a wonderful organization and attend this intimate, exclusive evening that’ll be a feast for the senses! Tickets are now on sale for Devour! The Sea for a fantastic night at the museum! Eastern Front Theatre is thrilled to present Hali-Wood Squares, a hilarious spoof game show that delivers more laughs than you can shake at a snow-blower. Based on the popular and similarly named long-running TV game-show, EFT’s Hali-Wood Squares will feature many of Halifax’s most Hali-famous names, pitted against each other in an hilarious battle of wit. Audience members will be invited to take part as contestants or simply sit back and experience a live game show, right here in Halifax. In the winter, when we all need a good warming laugh. A fun evening featuring music, storyteller Claire Miller, craft beer and wine, munchies and a silent auction - please join the Halifax Camerata Singers for this very fun evening fundraiser! The Costume Studies Program in the Fountain School of Performing Arts, Dalhousie University, announces a show of costume celebrating a rich part of Halifax’s heritage by re-creating some of the inhabitants who were in attendance at the 1869 ball celebrating the visit of His Royal Highness Prince Arthur. Senior students have researched several of the individuals who attended the event and have created historically-accurate clothing which might have been worn at the original ball, including the underpinnings! 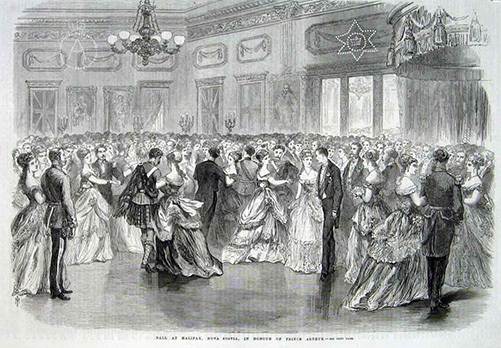 The students will also perform a Viennese waltz, just as was done at the ball in 1869. Tickets, which may be purchased on eventbrite.ca, are $20, and $15 for students and seniors, with proceeds going to the Costume Studies Scholarship Fund. Maritime Museum of the Atlantic is delighted to feature Flamenco en Rouge for their second Flagship event, to be held Friday, November 25th at 7 PM. Recently returned from Spain, Flamenco en Rouge’s eight dancers and musicians bring the pure, authentic beauty of gypsy flamenco in their highly-charged and passionate performances that leave audiences enthralled. Tickets are $10 cash, at the door. Nash's life hasn't amounted to much. Or so he discovers, when he suddenly finds himself slowly sinking to death in a mud puddle. Unable to escape, he calmly, deliberately - with very little desperation at all, mind you! - attempts to keep his spirits up, until such time as someone comes along to rescue him. Surely it won't be long now... right? Hilarious and touching, with a script by one of Canada's greatest playwrights, this one-man show will make you laugh, make you think, and, above all, make you watch where you step. The show runs 70 mins with no intermission. Presented as part of the Atlantic Fringe Festival. Check for event updates on their Facebook event page! In partnership with Fusion Halifax (Arts & Culture Team), all are invited to see the films that were generated from August 21-23 by registered groups that created five to eight minute short films, all in 48 hours! Best Director: $1,000 equipment rental from William F. Whites International Inc.
We will also have a prize for Viewers Choice. All attendees will receive a ballot to vote for their favourite film at the event. Bring your friends! 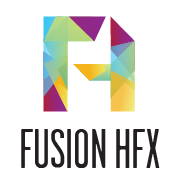 Check for event updates from Fusion Halifax! An artistic collaboration between Maria Valverde, painter, and Flamenco en Rouge, dance company The Flamenco across the Atlantic project will be presented twice from as part of the Museum’s Flagship series. 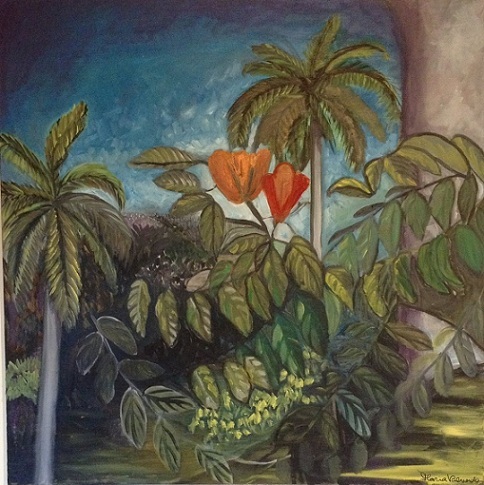 An installation, featuring a large painting by Maria Valverde will serve as a backdrop for a dance performance with live flamenco music, will engage spectators . The theme of the collaboration will explore the influences of Cuban rhythms, sounds, colours and style on flamenco music and dance. Ida and vuelta ("there and back") describes a style of flamenco that was influenced by the music of former Spanish colonies in Latin America. Uniting the talents of well-known Halifax artist, Maria Valverde, and the flamenco dance company, Flamenco en rouge, a unique artistic experience will be created for the spectators in a display of colour, light, music and dance. This project has been made possible through the generous contribution of the National Bank of Canada (Financial). 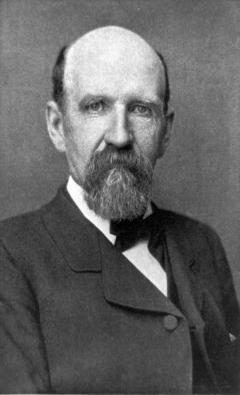 On July 1st 1895 Nova Scotian born Joshua Slocum set sail from Yarmouth, NS to become the first man to sail around the world alone! Celebrated around the world as an adventurer among the likes of Charles Lindberg and Neil Armstrong, he published a book of his adventures and it has become a classic in maritime literature. Tom Scott, a Nova Scotian actor/producer, will give a reading of a one-man script written by Ruth Wolf. "Researchers aboard the floating laboratory Aquatica have been playing God and now, the terror of Judgement Day has arrived." On Thursday, May 15, as part of the Maritime Museum of the Atlantic’s Flagship Events series, Thrillema is proud to present a free showing of the 1999 classic Deep Blue Sea, starring Saffron Burrows, Samuel L. Jackson and LL Cool J. Tickets will be required to attend this event. Tickets can be picked up for free at Strange Adventures on 5110 Prince Street, Halifax, starting May 12. Limited seating is available, so get them fast. Genetically-engineered sharks have broken free of their laboratory confinements and are wreaking havoc. A group of scientists must work together to stop these deadly sharks from breaking loose into the open ocean. This spellbinding movie thrills and delights non-stop. If you haven’t yet seen this masterpiece, check out the trailer here (https://www.youtube.com/watch?v=M-493KsbW6g). Doors will open at 7:00 pm and the showing will start at 7:30 pm in the museum theatre. Concessions will be available for sale upstairs. Thrillema screenings are in association with Carbon Arc Cinema, bringing the best in horror, sci-fi and cult movies to the big screen. Flagship Events is a program run by the Maritime Museum of the Atlantic dedicated to collaborating with local artists to hold community events. 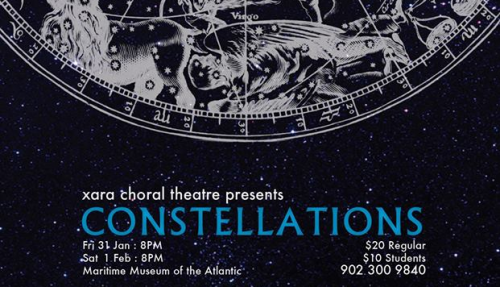 On January 31st and February 1st, as part of the Maritime Museum of the Atlantic’s Flagship Events series, Xara Choral Theatre (XCT) Ensemble will present a new work of choral theatre inspired by the origin of the stars. Drawing from Greek mythology, Constellations re-imagines the mystery of how the stars aligned. This show will blur the boundaries of choral music and theatre by combining improvised song, text, and lighting to create a multi-sensory audience experience. Strokes of music and movement will be used to paint the sound of the heavens as experienced by navigators, travellers, and the stars themselves throughout time. Featuring a dynamic lighting design by Matthew Downey that evokes the northern sky, the performance blends contemporary choral music by Scandinavian composers including Karin Rehnqvist and Pekka Kostiainen, as well as arrangements of songs by Finnish vocal ensemble Rajaton, and pop artists Lorde and Imogen Heap. 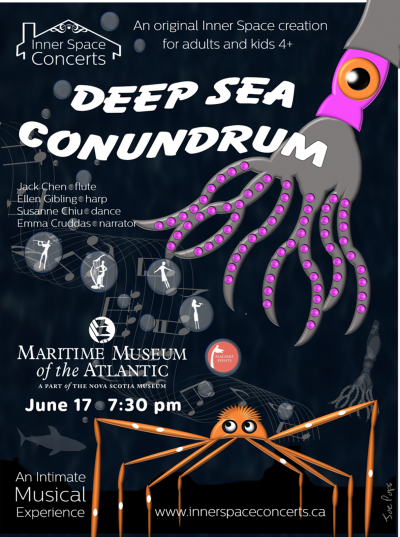 Constellations will be performed at the Maritime Museum of the Atlantic, 1675 Lower Water St., Halifax at 8:00 pm. (Doors open at 7:30 pm). Tickets are $20 adults and $10 students, and are now available online at www.xara.ca or by phone at 902-300-9840, or at the door.